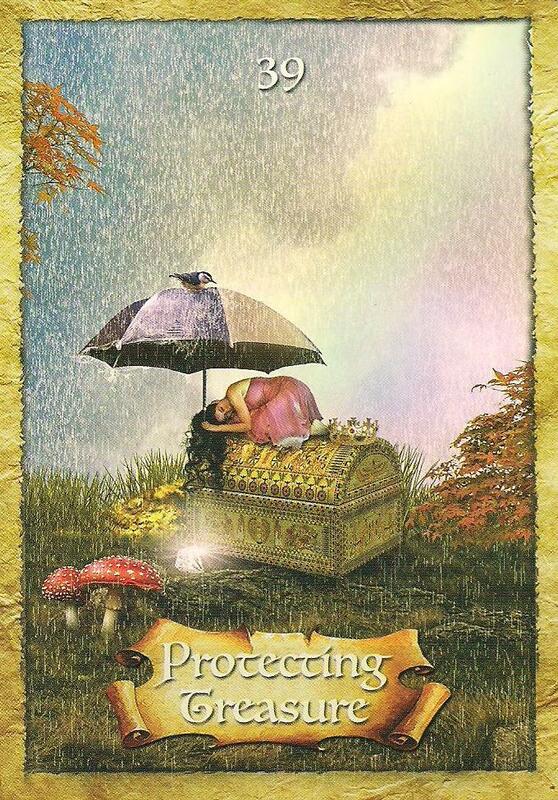 Protecting Treasure popped out of the deck right as I began to shuffle with an important message to carry us through the week. Spirit wants to remind us that we are always protected and cared for and that even though we may feel unstable or scared as we move forward, we are in fact safe and loved. Trust that what we have worked hard to build remains safely tucked away and that this is a great time to strengthen bonds with those we love. The rain may fall but we are always sheltered, and if we allow ourselves to be open to it, the rainbow can brighten our day. We are never really alone. Enjoy the rest of the reading at www.janetraftis.com. I hope you’ll join me over there! Categories: Uncategorized | Tags: Certified Angel Card Reader, Colette Baron-Reid, Janet Raftis, psychic readings, The Enchanted Map Oracle Cards, weekly card reading | Permalink. With a new year, it should come as no surprise that our cards for the week all show us making big changes and moving in new directions. This is a wonderful opportunity for us to pat ourselves on the backs, enjoy our success to date, prepare to move in a new direction, and leave the past behind. To read the rest of this post, please visit: www.janetraftis.com. Thank you and I hope you’ll follow my reading over there! We have a beautiful week ahead as we bring our dreams out of the incubation stage and into life. We begin with Coming to Life. 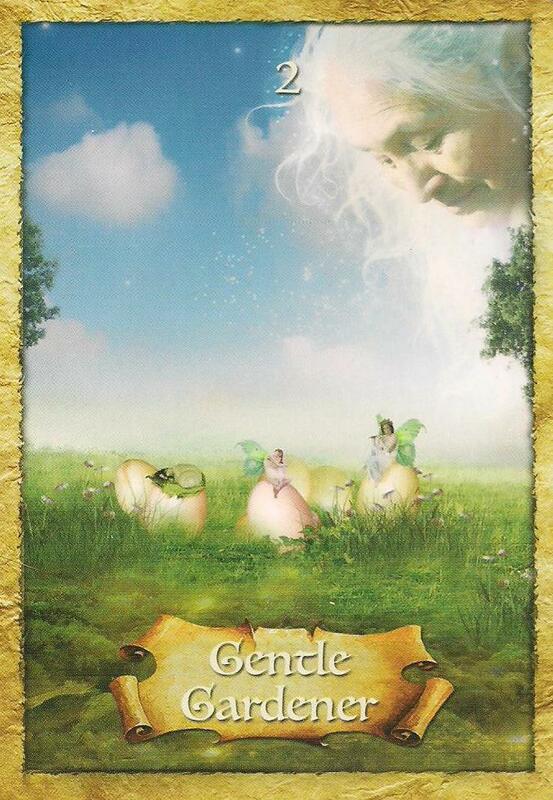 This card shows up to reveal that we’ve done some work over the recent months, shed some old skin, and we are now able to bring the fruits of that growth out into the world. We hold the light of our labors up high and allow it to shine as we delicately dance with it. The butterfly shows the metamorphosis that has taken place as we emerge from our own personal cocoon. I feel like the shining light serves to guide us as well. If we allow it to show the way, and have full faith in the power of Spirit to lead us, our transformation becomes more powerful and more able to unfold. Have confidence in the signs that you get and the wisdom that you receive. It’s not necessary to look for solutions and answers right now; it is a time for us to turn within and trust the signals that we sense within us. This theme is continued in the Gentle Gardener card. The Wise Women cares for and watches over her children as they come to life, yet she is in a state of full trust. Her eyes are closed and the love and faith that she feels radiates out from within her. 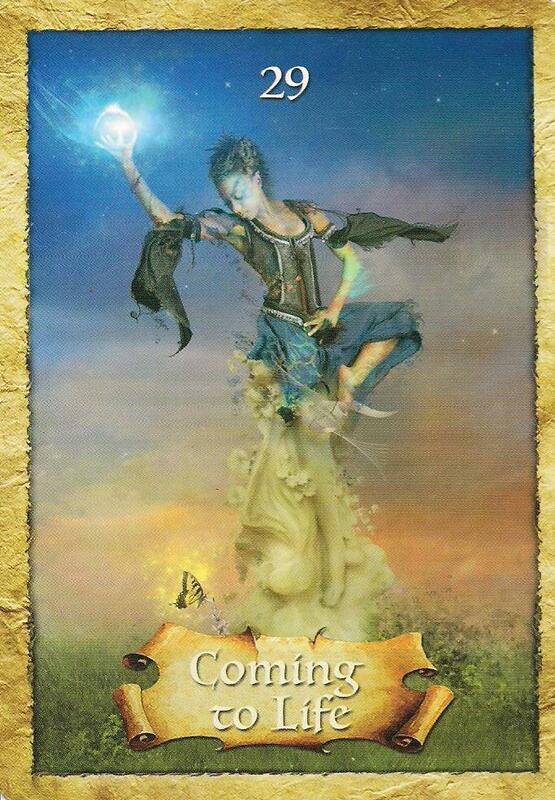 We are truly coming to life and it is echoed in this second card. 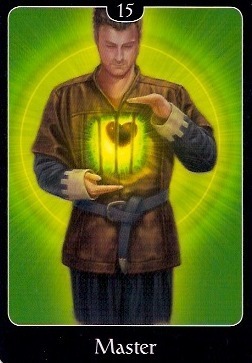 In both of the first two cards we are emerging and both are a calling to trust in Spirit. We have already planted the seeds for our future; we have created visions of our goals and dreams and planted them in the field of possibility, and now it is time for us to trust that our dreams, our selves, our essences know how to do the rest. 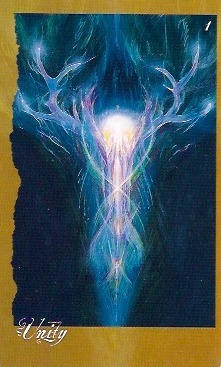 This card is truly a calling for us to be conscious co-creators, working with Spirit to manifest our desires and to grown into a more expansive version of ourselves. The possibilities are limitless if we truly believe in the infinite potential of Spirit. 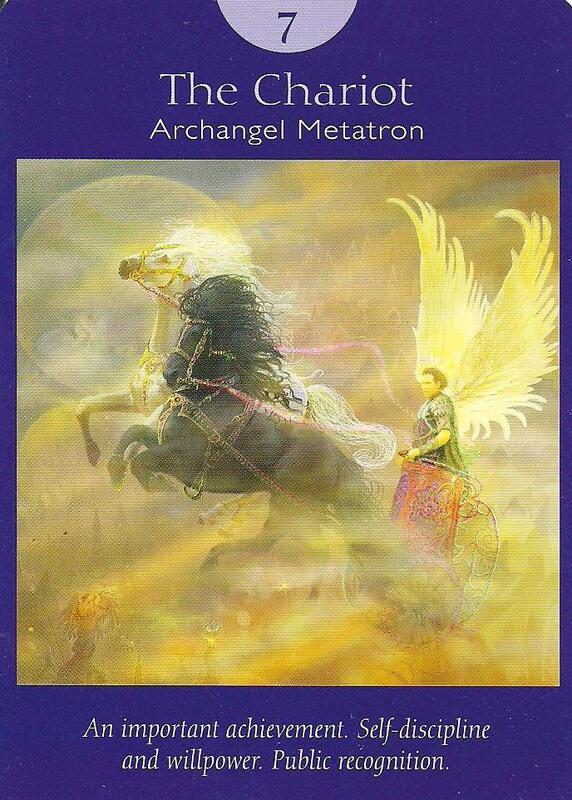 In this card, we are getting our wings, and although we may not be flying yet, we are about to! This week we can truly experience Peaks of Joy. We are undergoing great growth and we feel more connected to the Divine than ever. We have done tremendous healing and have faced many fears head on. We have turned within and trusted. Now, if we give ourselves permission to, we can take some time to fully savor that. 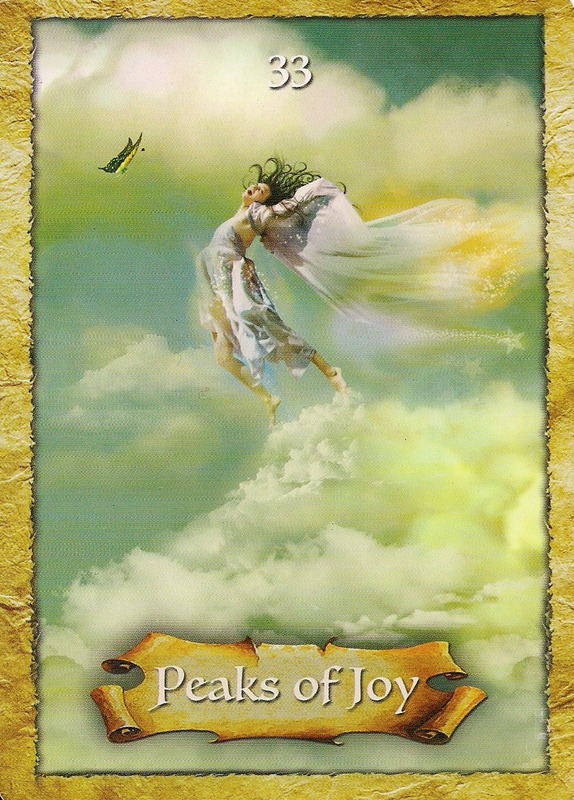 Allow yourself to feel the exhilaration of what has unfolded, and give yourself permission to express joy in whatever way feels best for you. We’ve been serious and focused lately, and it’s had its place in our development, but one of the best ways to witness the unfolding of our visions is through the childlike and joyous expression of our most inner self. Be open, be free, laugh, love, lead with your heart and you will be able to fly higher and further than ever before. 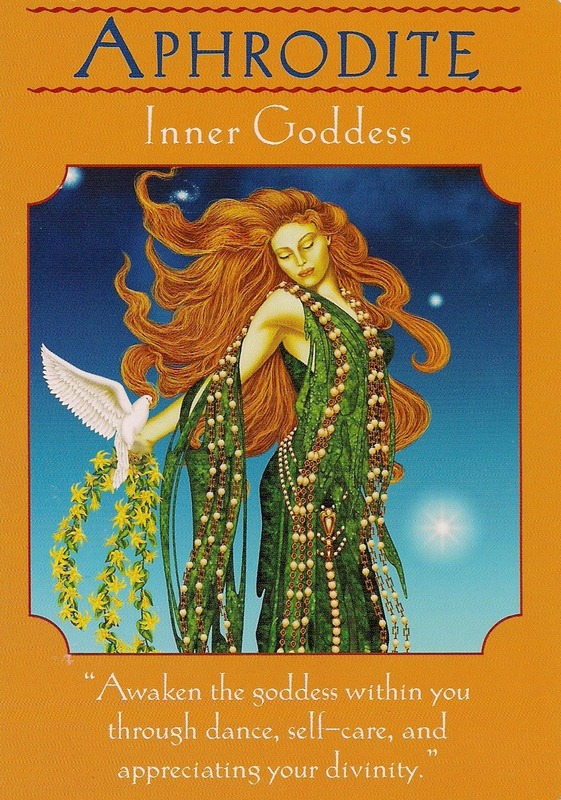 This week’s reading is from The Enchanted Map Oracle Cards by Colette Baron-Reid. Categories: Uncategorized | Tags: Certified Angel Card Reader, Colette Baron-Reid, Janet Raftis, oracle cards, psychic readings, The Enchanted Map Oracle Cards, weekly reading | Permalink.